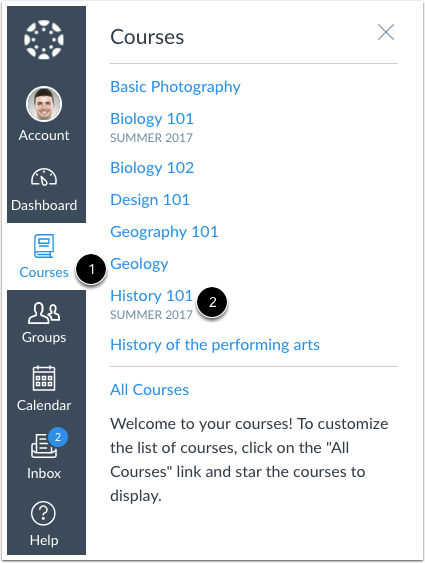 You can manage recent activity in a course the same way you can on the Dashboard. Activities are indicated by activity type and display an icon for the activity . New activity in your account is indicated by a blue dot . Discussions and Announcements indicate new activity items published in a course, and Conversations indicate a new message received from a user in a course. Recent Activity items remain for four weeks. Previous Topic:How do I change the Course Home Page? Next Topic:How do I use the Syllabus as an instructor? 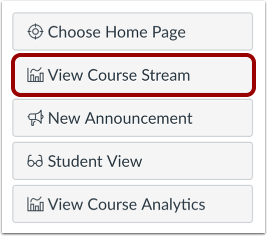 Table of Contents > Course Navigation > How do I use the Course Activity Stream as an instructor?